There is one direct daily service from Koh Samui Airport to Koh Tao available to book online. If this service departs at the wrong time, or is full, then the best option is to book a ferry ticket and arrange your own transport from Koh Samui Airport to the ferry pier. Travel Tip: If you have not already booked your flight tickets to Koh Samui you might also be interested in taking an overnight train to Chumphon (to the North of Koh Tao) and then the connecting ferry service from Chumphon Train station to Koh Tao. 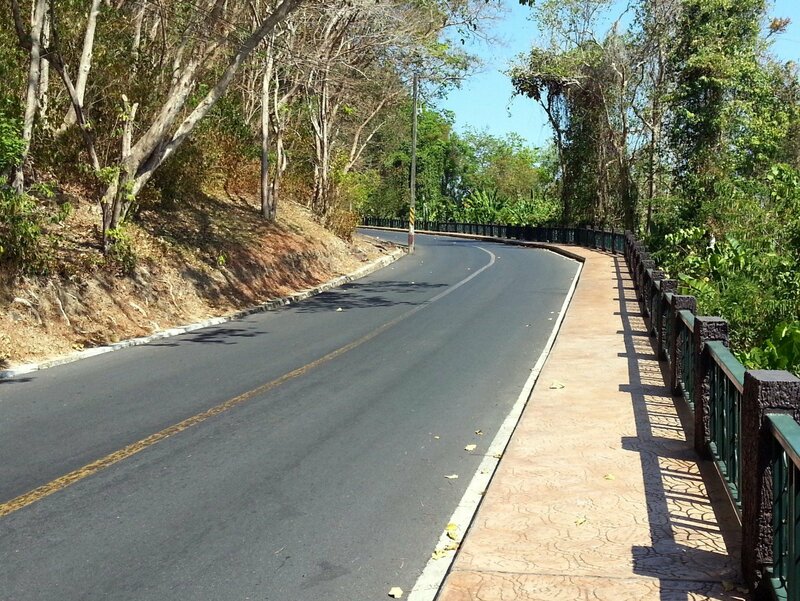 You have the option of either travelling direct from the Airport to Koh Tao or taking a taxi or minivan to the ferry pier. Both options cost about the same price is you travel by minivan from the Airport to one of the ferry piers. The direct service will be normally be considerably cheaper than the cost of travelling by taxi and then buying a ferry ticket. Koh Samui is well known for its expensive taxi services. 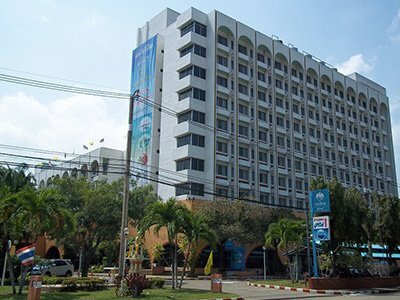 Despite attempts to regulate these services, taxis in Koh Samui rarely use their meter to calculate fares and travellers arriving at Koh Samui Airport should make sure they agree a price with the driver before commencing their journey. Koh Tao is a popular destination particularly during the high season from December through to September each year. During high season you should definitely book on advance online as the ferries get very busy. At other times of the year you will normally be able to buy a ticket when you arrive at the airport. 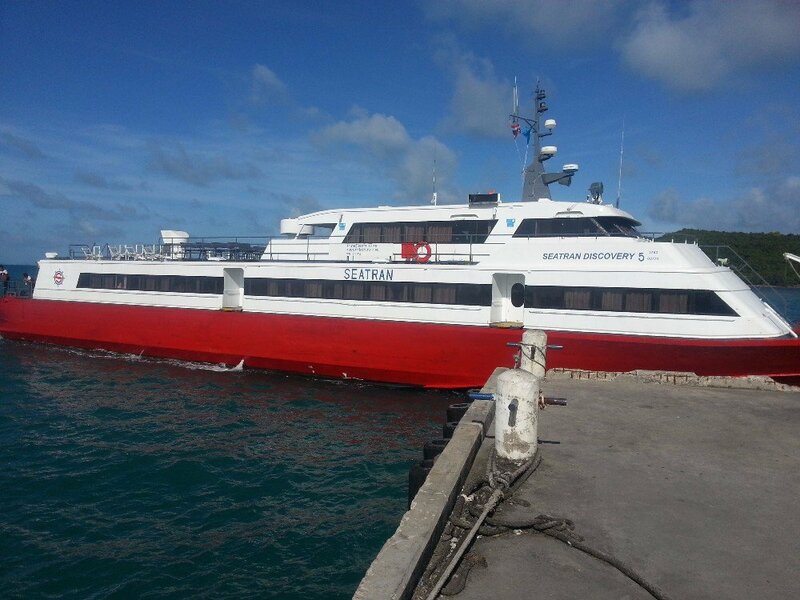 Seatran Discovery ferries depart from Koh Samui twice daily at 13.00 and 16.30. Seatran Discovery also operate a minivan transfer service departing from Koh Samui airport at 12.30 to connect with the 13.00 ferry transfer. You can choose to take the Seatran Discovery minivan from the airport or make your own way to Bangrak Pier to catch either the 13.00 or 16.30 ferries. The Seatran Discovery Service departs from Bangrak Seatran Pier on the North Coast of Koh Samui. Bangrak Seatran Pier is only 2.2 km from Koh Samui Airport. Bangrak Seatran Discovery pier is the closest ferry port to the airport making the Seatran Discovery service the most popular option for most people travelling from Koh Samui Airport to Koh Tao. Seatran Discovery ferries are fairly comfortable with an air-conditioned cabin, sun deck and small shop selling food and drink. The Lomprayah High Speed Ferry Company is the premier provider of travel services for the islands of Koh Samui, Koh Phangan and Koh Tao. 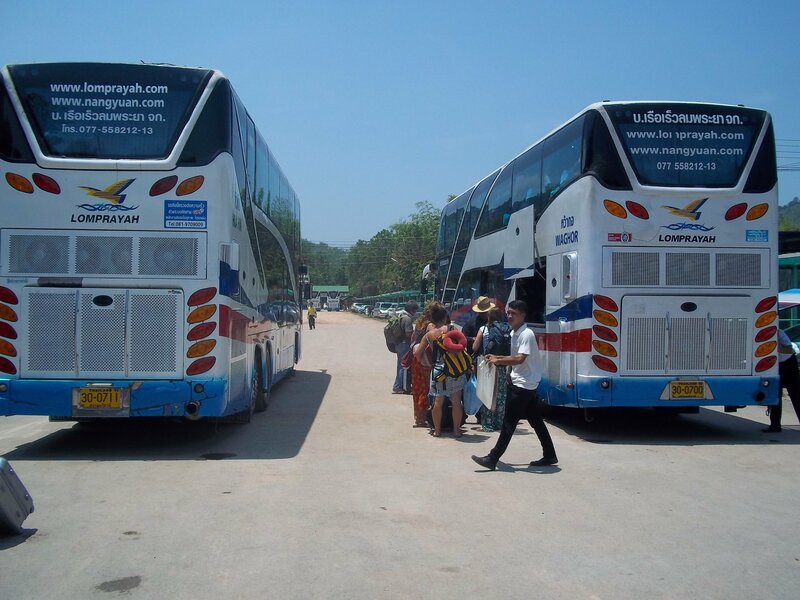 They operate a fleet of high speed catamaran ferries, minivans and luxury bus services connecting the islands of the Samui Archipelago with destinations such as Bangkok, Hat Yai, Krabi and Koh Phi Phi. The 11.15 and 17.00 Lomprayah Ferry services depart from Na Thon Pier on the West coast of Koh Samui which is 23.8 km from Koh Samui Airport. Taxi fares from Koh Samui Airport to Na Thon ferry pier are between 600 THB and 1,200 THB depending on the time of year and your negotiating skills. Minivans from the airport cost between 150 THB and 300 THB per person to Na Thon ferry pier. The benefit of this longer journey is that you travel to Koh Tao on the best of the various ferry services operating on this route. The Lomprayah High Speed Ferry Company has a fleet of fast catamaran ferries with lots of seating inside an air-conditioned cabin and roof top sun decks. This ferry company also provide help with taking luggage on and off the boat. 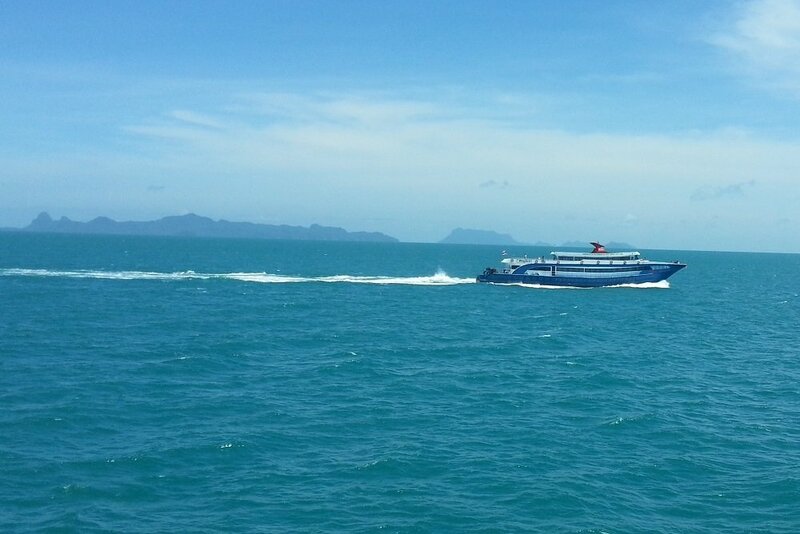 The Songserm Ferry Company operates a budget ferry service from Koh Samui to Koh Tao. They have a single service per day at 11.30 departing from Na Thon at the same ferry pier as the Lomprayah service to Koh Tao. The Songserm Company has large wooden boats with fairly tightly packed seating and limited outdoor space. The boats have toilets, a small shop and fans or A/C depending on which boat you take. This service costs less than the others and represents excellent value for money, even if it is the least comfortable of the 3 ferry services.